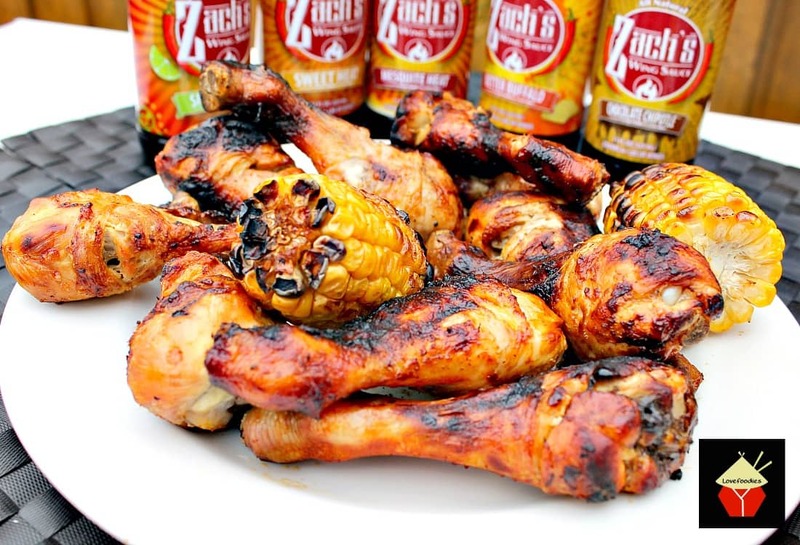 Zach’s Grilled Chicken using a variety of flavors simply out of this world! 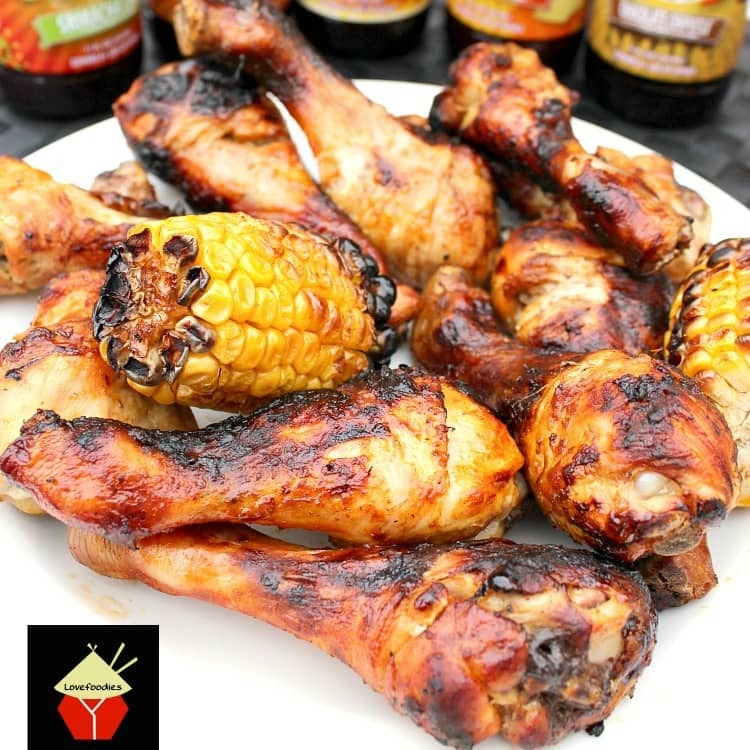 Easy marinades, simply spray as you grill! Wow! Let me introduce you to a lovely collection of marinades. I first came across these sauces when I was contacted by a lovely person, Tyler, who works at Zach’s Wing Sauce. I was asked if I’d like to try out their new range of Chicken Wing marinades, and you simply spray them on to the meat during the grilling process. 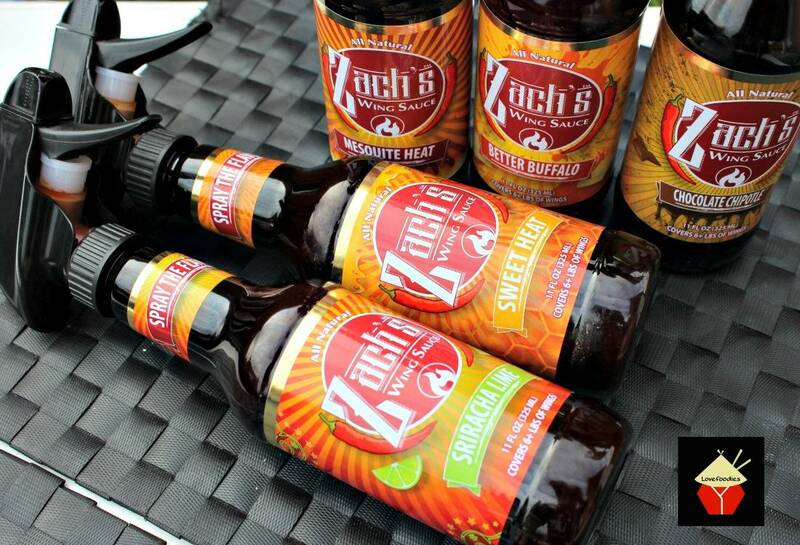 Zach’s is a new company out of St Louis and they’ve created the very first sprayable wing sauces. Well, this sounded way too easy. Of course I was skeptical about whether the flavour would be strong enough as I usually marinade my meat in the refrigerator for a few hours before grilling, to make sure the flavors really taste good. Tyler sent me their 5 unique flavors, Sweet Heat, Sriracha Lime, Chocolate Chipotle, Mesquite Heat, and Better Buffalo and I tried them all! 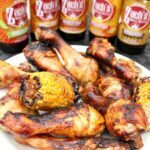 I wasn’t paid to do this post, nor asked to write about the sauces, but I was so impressed by the sauces, I wanted to write a post about them, so a huge thank you to Zach’s for sending me some of their sauces to try out! Of course, some of the flavors will be very much down to personal taste and what you like. For me, I really enjoyed the Sweet Heat and the Sriracha Lime. My friends, who also tried the chicken enjoyed the Chocolate Chipotle, Mesquite Heat and Better Buffalo. So all in all, it was an all around win for us! The bottles themselves are easy to hold with the spray gun attachment. The only thing I will say is don’t get muddled up with which spray you’ve used on which piece of chicken, or you could end up with a couple of pieces with different sprays on them…. mind you, the flavor combination when I accidentally sprayed a couple of flavors on one piece of chicken was tasty too!! 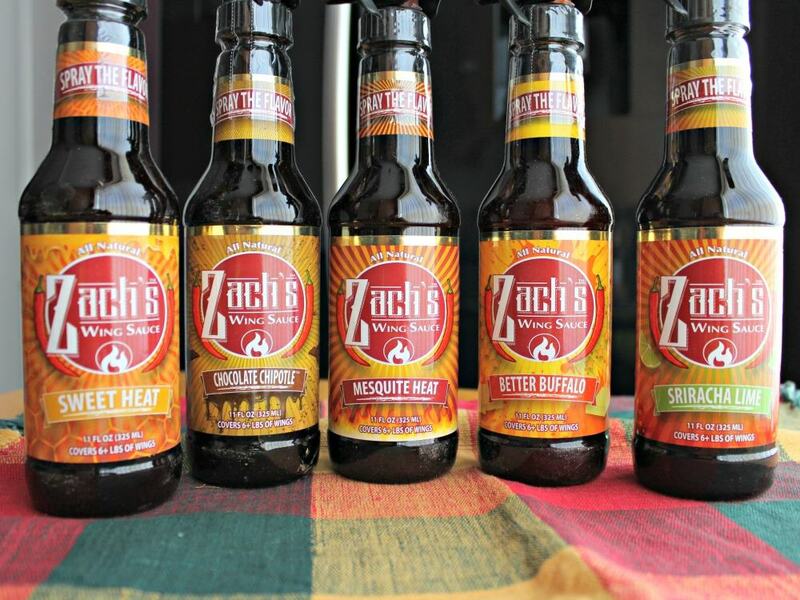 There’s lots of information on Zach’s website about where you can get these sauces, lots of recipes on how you can incorporate the sauces in dips, stir frys, salads, and much more. 1. Prepare the chicken by making thin cuts in the flesh with a sharp knife. ** This is optional, I do this so the sauce can get right inside the meat. 2. 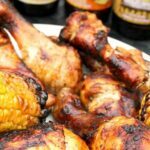 When the coals are ready for grilling, place the chicken pieces on a plate and spray your choice of sauce on the chicken, on both sides. 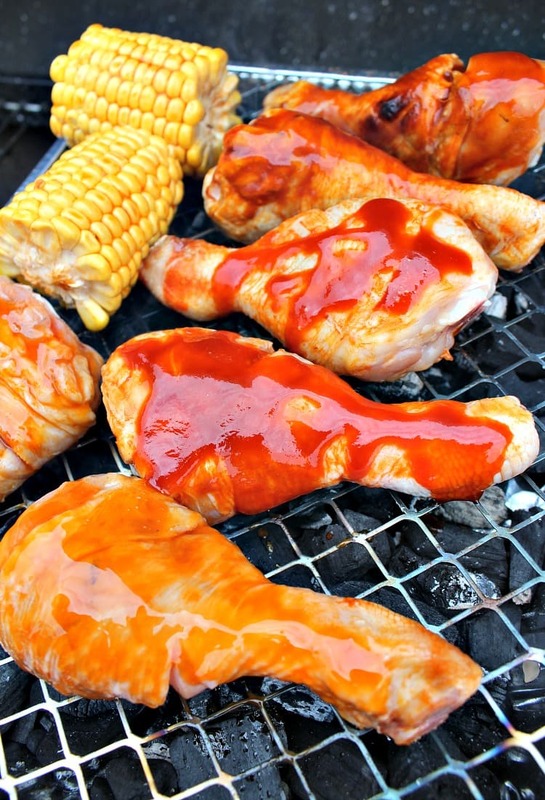 3.When ready to turn the chicken over for grilling the other side, simply spray some more sauce. Repeat until the chicken is cooked. 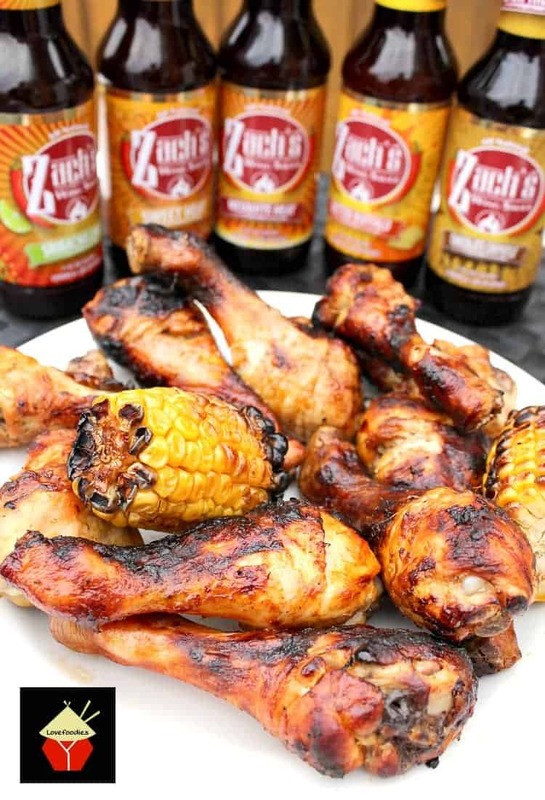 Don’t forget to head over to Zach’s Wing Sauce and check out their website. I guarantee you’ll be drooling at all the lovely ideas they have on there! Prepare the chicken by making thin cuts in the flesh with a sharp knife. ** This is optional, I do this so the sauce can get right inside the meat. When the coals are ready for grilling, place the chicken pieces on a plate and spray your choice of sauce on the chicken, on both sides. When ready to turn the chicken over for grilling the other side, simply spray some more sauce. Repeat until the chicken is cooked.